About the owl The Tree of KnOWLedge shows a passage of time featuring some of Bath's history and important features, travelling in time from the Roman Era to modern times alongst the branches of the “Tree of Knowledge”,which weaves its way up the sculpture. About the sponsor Monkton Combe School is an independent, co-educational boarding and day school near Bath for pupils aged 2–18 which has a proactive pastoral environment, ensuring every one of our students knows and fully understands themselves, and as our outstanding exam results over the last few years demonstrate, our approach works. About the artist Tom is an aspiring local Illustrator working as an Artist in Residence at Monkton Senior School, who specialises in Pen and Ink illustration for Album and Book covers, enjoys Mythology and themes of Nature and accepts commissions. 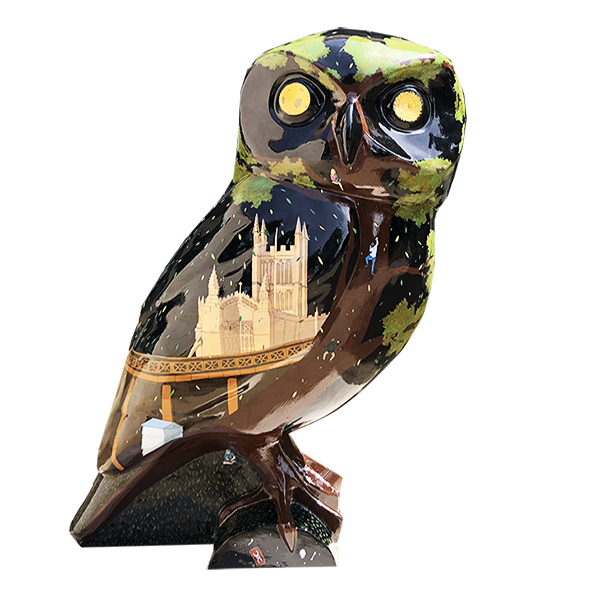 Tom said: "The Owls of Bath has been a welcome challenge for me as a budding local Illustrator and I have really enjoyed the thought and design process. It's been great to be a part of it all and I’m proud to be representing Monkton as their owl artist and to help raise funds for local charities! Where? Monkton Prep School, Bradford Road, Combe Down, Bath BA2 7ET (at the school end of drive near Pool/Nursery). Take the No. 2 bus to Combe Down from Bath Bus Station. Limited parking out of school rush hour only. There are 5 other owls nearby.  See H'Owl at the Moon at Combe Grove Hotel, Patch in Combe Down village, Dr Tawny at BMI Bath Clinic, Mowlberry Beak at Mulberry Park and the amazing Lumin15 at Waterhouse just down the hill in Monkton Combe.